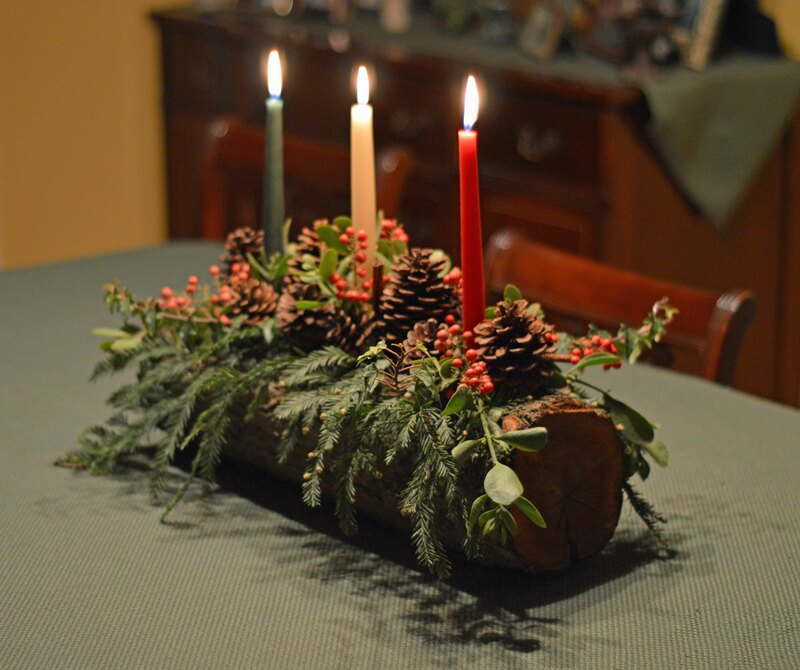 The Yule log has been a tradition in European countries for centuries. 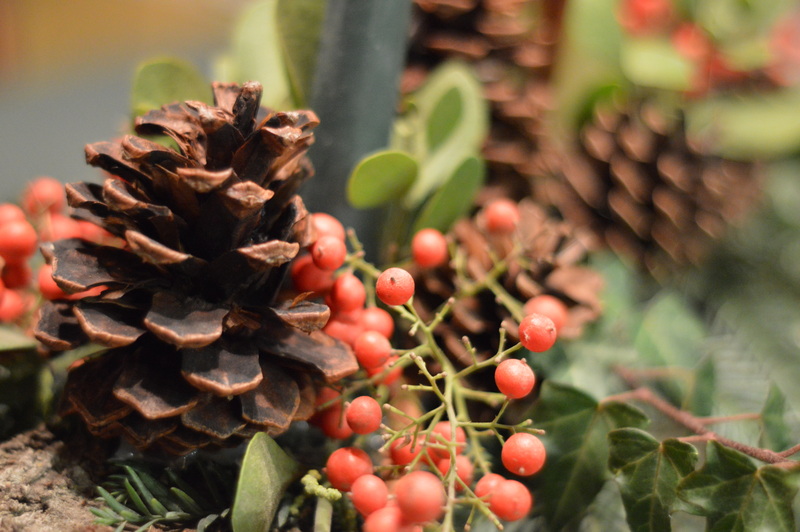 Like the Christmas tree, it’s origin has Pagan roots (pun intended) that were incorporated into Christian traditions. But whether you celebrate Christmas or Yule (or both!) 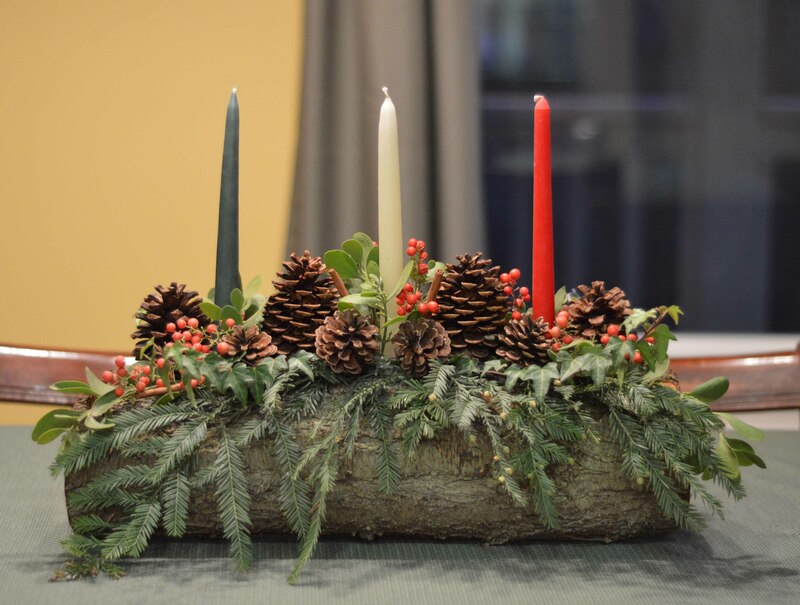 the Yule log is a fun way to begin a new tradition with your family and friends. 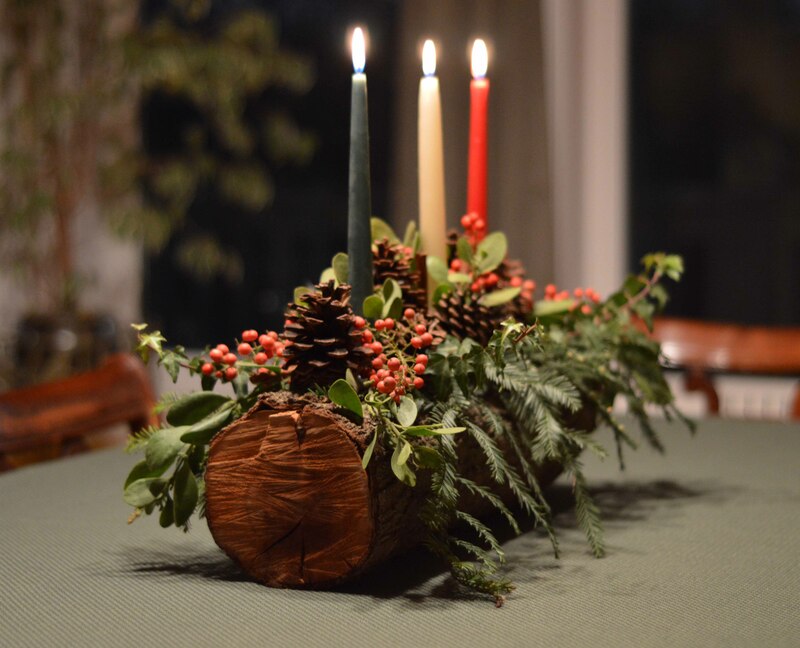 Go here if you’d like to learn more about the Yule log’s history. 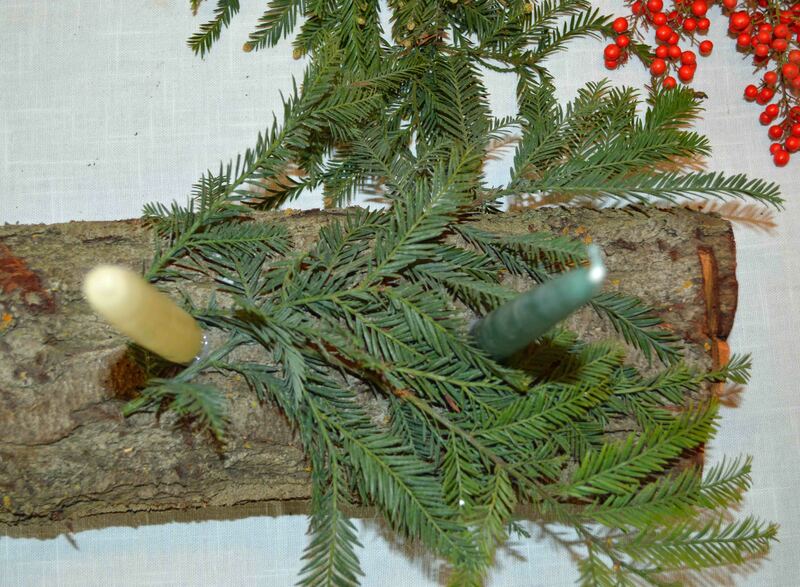 The following are is Yule log tutorial to make the Yule log you see pictured here, but there is no law saying you have to make it the same way using the same materials. Traditionally, one would use materials found on their land or grown locally. 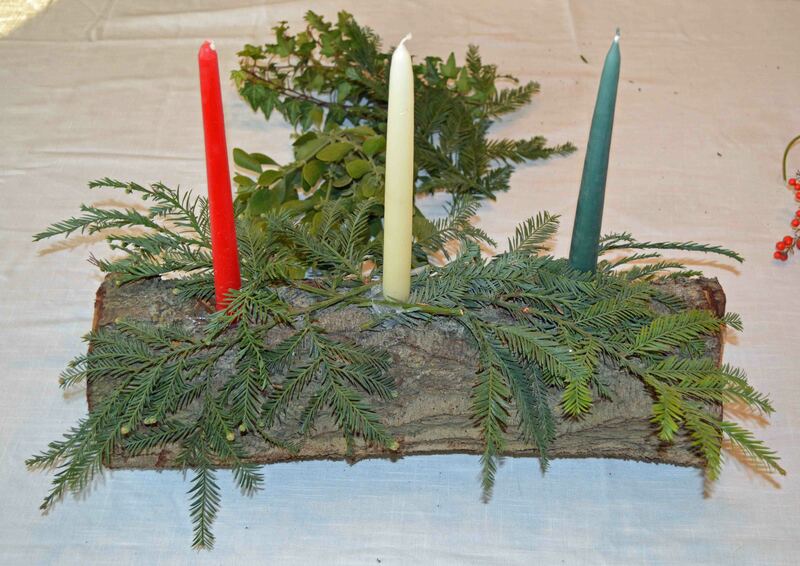 Also, the tree the log came from and the plant materials were chosen for the spiritual properties they represent. 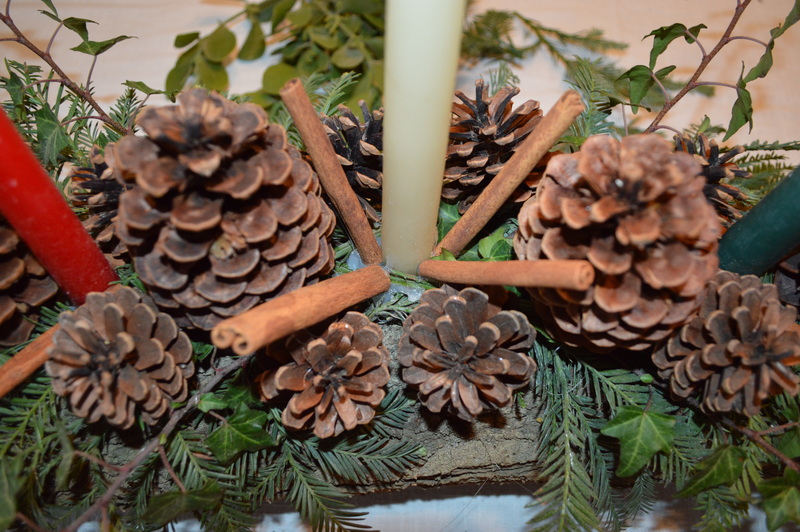 For more information on spiritual properties and correspondences of wood and plants you may want to add to your Yule log, go here. Important safety warnings! Please read before making this project! After posting this project, I received some feedback from concerned readers about the safety of this project. I really do appreciate the concern, and I have updated the project to make this project as safe as possible. With that said, it does not replace common sense in that you should never leave lit candles unattended for any length of time. Please note some of these plants such as mistletoe are toxic to pets, so make sure to check if any of the plants you plan to use are toxic. If they are, make sure to keep them where your pets can’t get to them. A wood log (I used almond) with the base cut flat so it doesn’t roll. 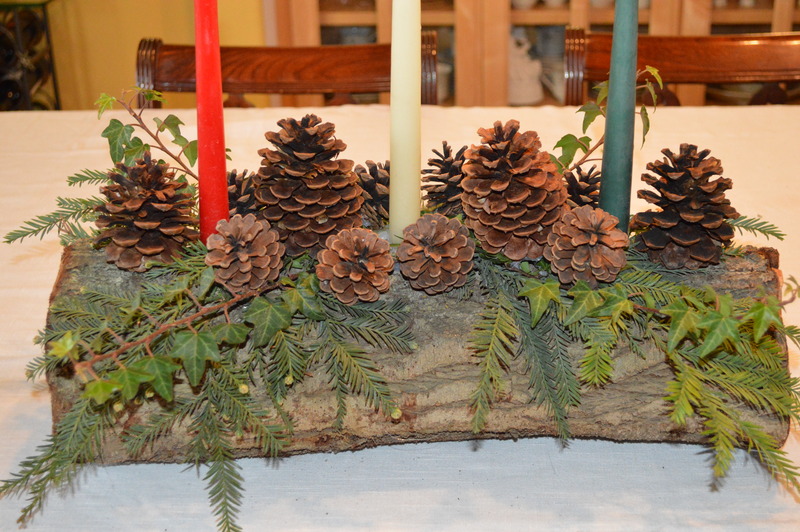 (I did cut the base flat on the log I used for this tutorial; it’s just hard to see in the pictures). 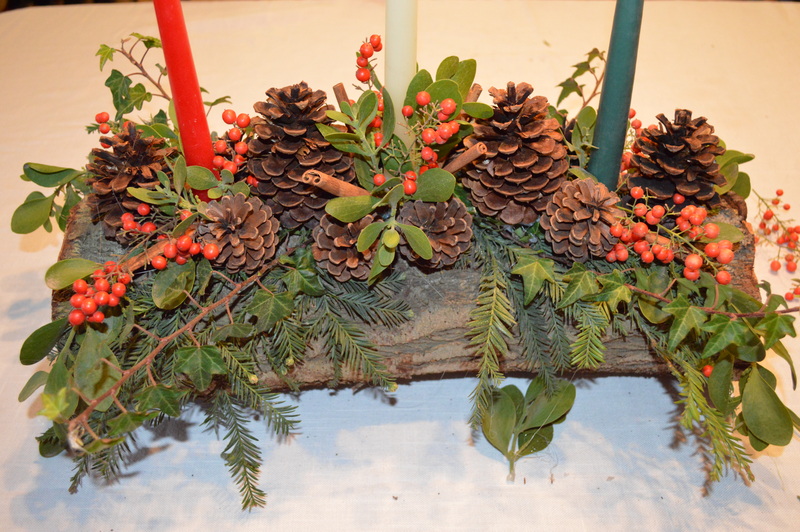 Holly berries (I didn’t have Holly so I used Pyracantha berries instead). 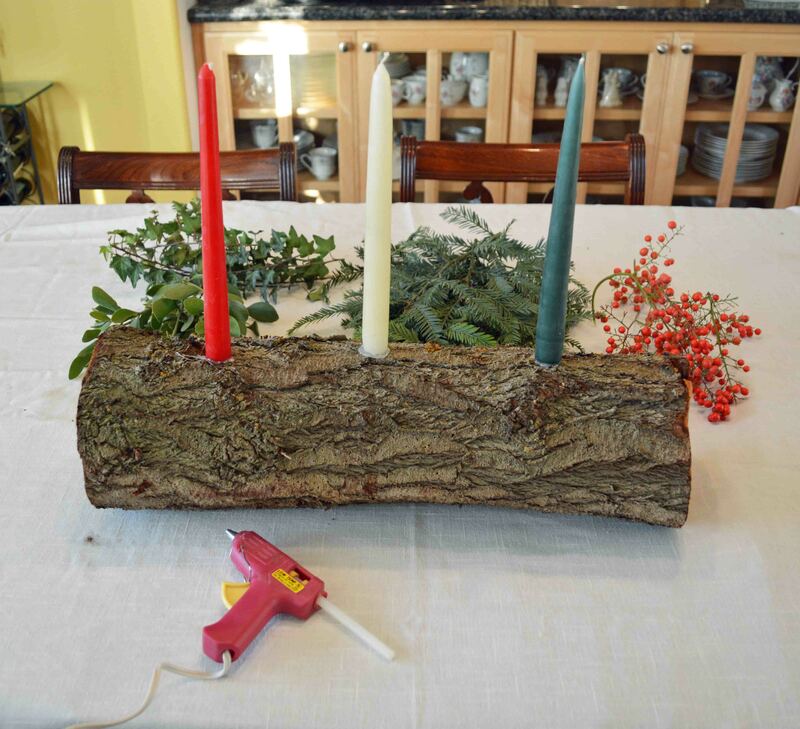 Drill holes in the log base the size of the candle ends, fill bottom of holes with hot glue, insert candles, pressing down into the glue. 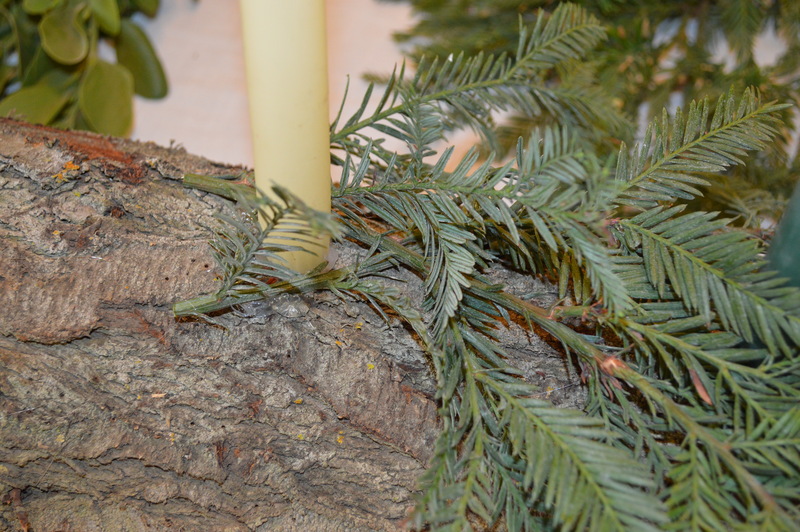 Add extra glue to the sides of the hole if necessary to fill them and hold candle securely. Glue on the redwood branches. 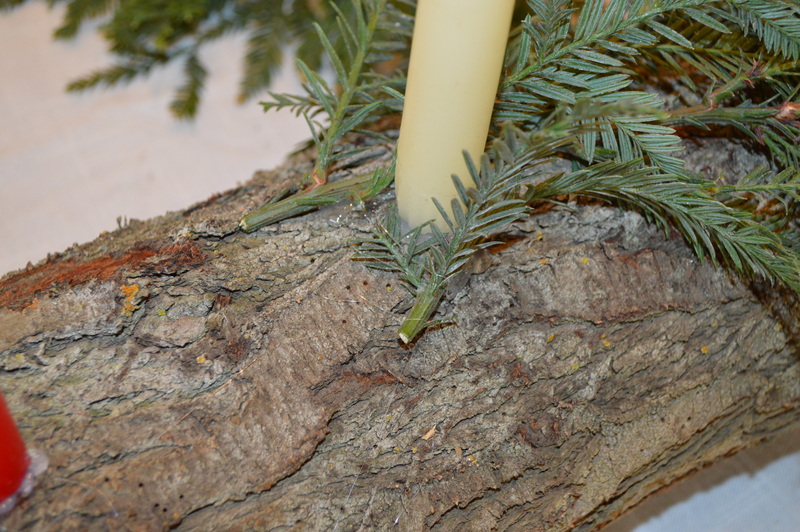 I crisscross two branches between the middle and the end candle on one side, then do the same on the other side. Glue the ivy branches over the redwood branches. 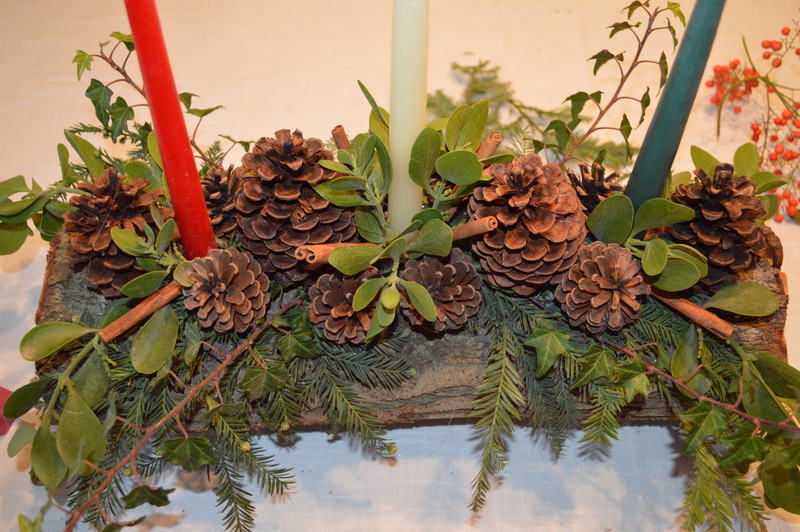 Glue the pinecones right on top of the greenery. Don’t be stingy with the glue. Press them down gently until the glue cools and hardens so they will be secure. They don’t have to be so secure that you need a jackhammer to get them off again- you’re not going to run a marathon with it. (But if you do, please send me pictures!) Everything just needs to be secure enough to sit on top of a table and look pretty. Glue on the cinnamon sticks. 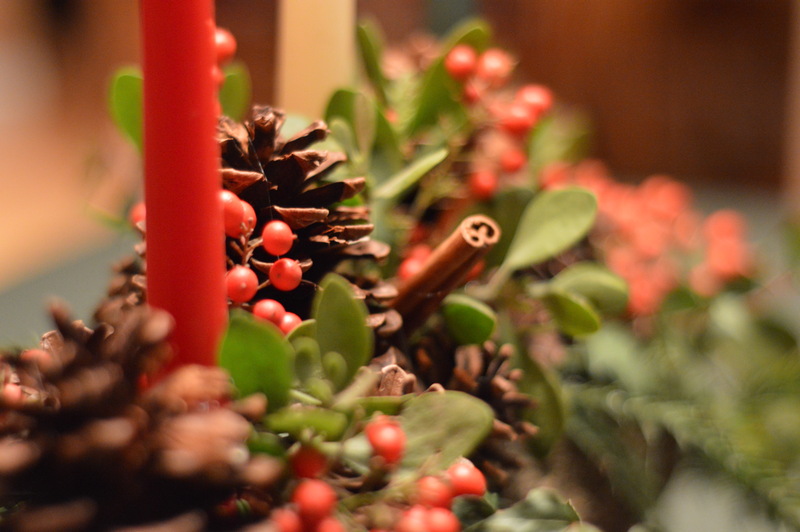 I glued them on strategically to cover up the pileup of glue around the middle candle. I hope you enjoyed this tutorial! If you have any questions or comments, please leave them below! This is absolutely gorgeous…I found you via a link on Hometalk. Pinning immediately, thank you for sharing!! this looks dangerous to me but still very beautiful. maybe using the battery operated led candles would be better. there would be no risk of fire hazard. Thank you for the great suggestion Shirl! 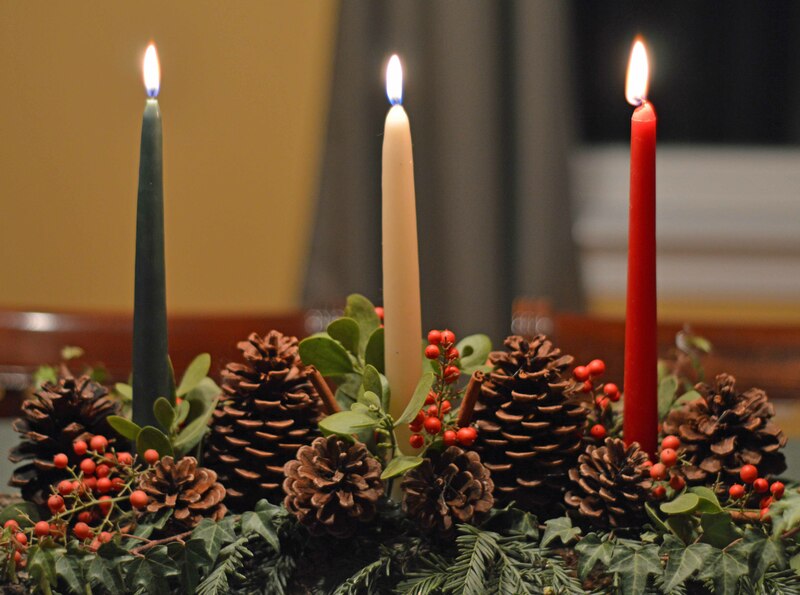 🙂 There is always a risk involved with burning candles, so no matter how secure the holder, no one should ever leave lit candles unattended for any length of time. 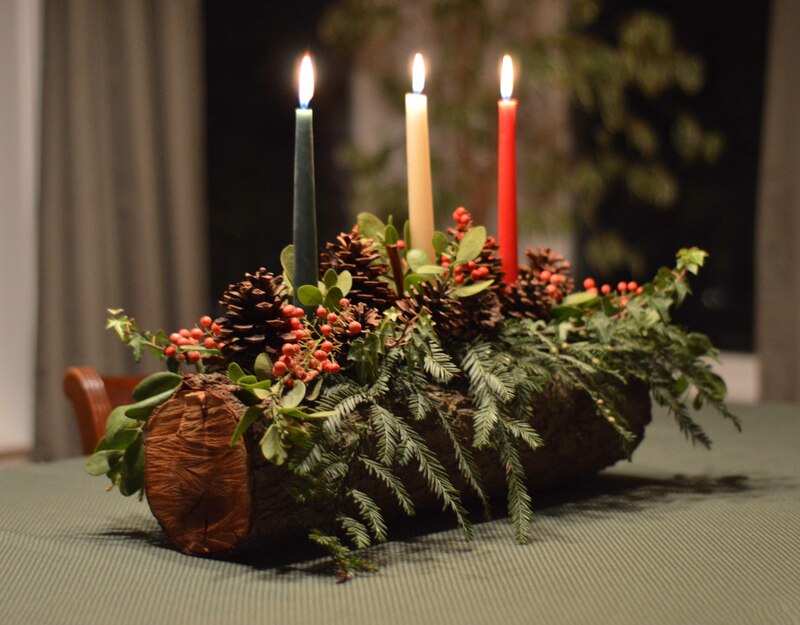 After seeing your beautiful yule log on pinterest, and reviewing your tutorial, I made 7 yule logs for friends and family. They loved them! Thank you for sharing your ideas and talent. 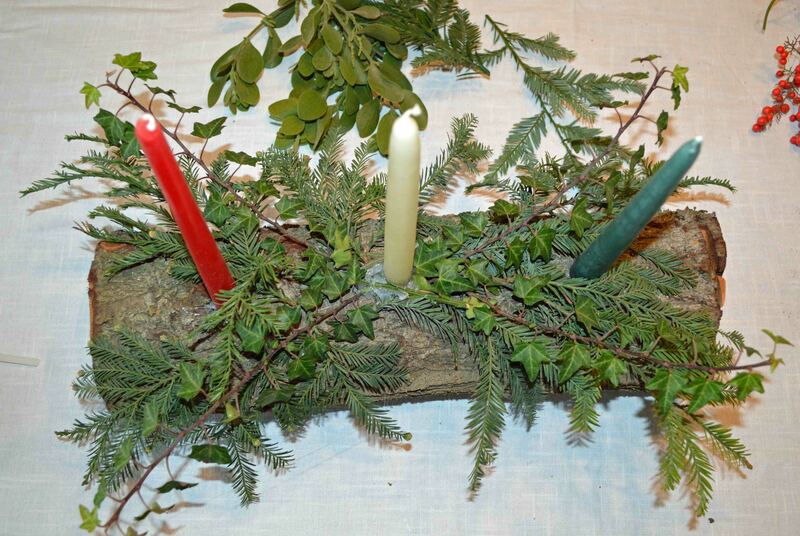 That is just gorgeous and I am off to make my own Australian version for my (urban) June Yule celebrations. The perfect centre piece for the table. I love these! 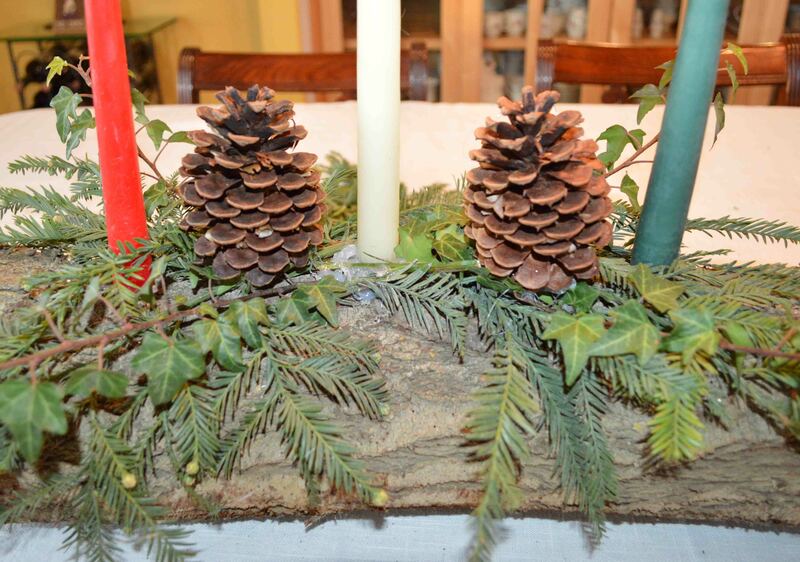 I hadn’t heard of Yule Logs before so I’m glad I stumbled upon this tutorial! If only I can get my hands on a nice suitable log and manage to saw it into shape… not sure if I can do that but I might. 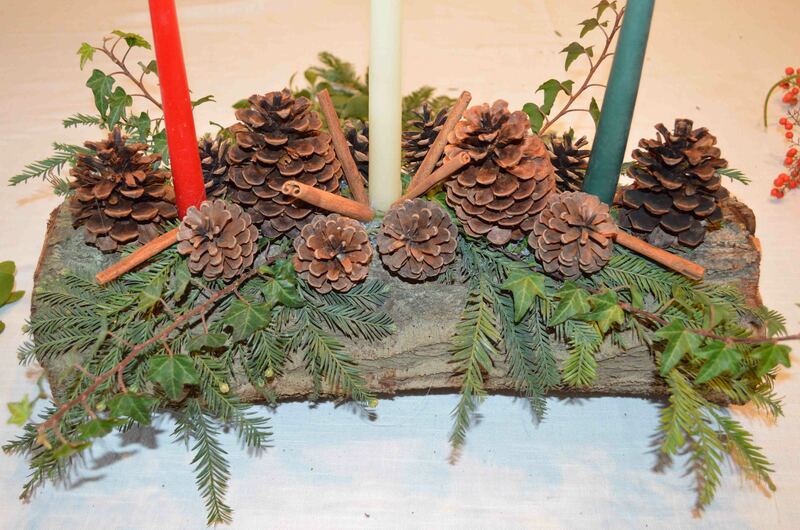 Do you have tips for how to drill the holes that hold the candles if one doesn’t have a specialised drill for that? Or a workaround? I’m just thinking, instead of the glue gun, one could use wax to glue in the candles, and thin (ornamental) wire for the rest. Depending on preferences and what one has lying around the house I guess. Where did you get these supplies? Thank you so much for sharing this with me! 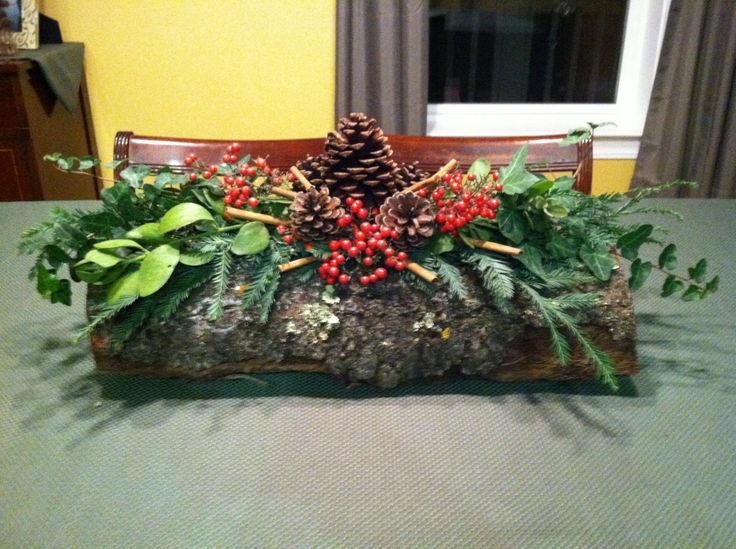 I’m happy my yule log was an inspiration for making yours. Happy Holidays! 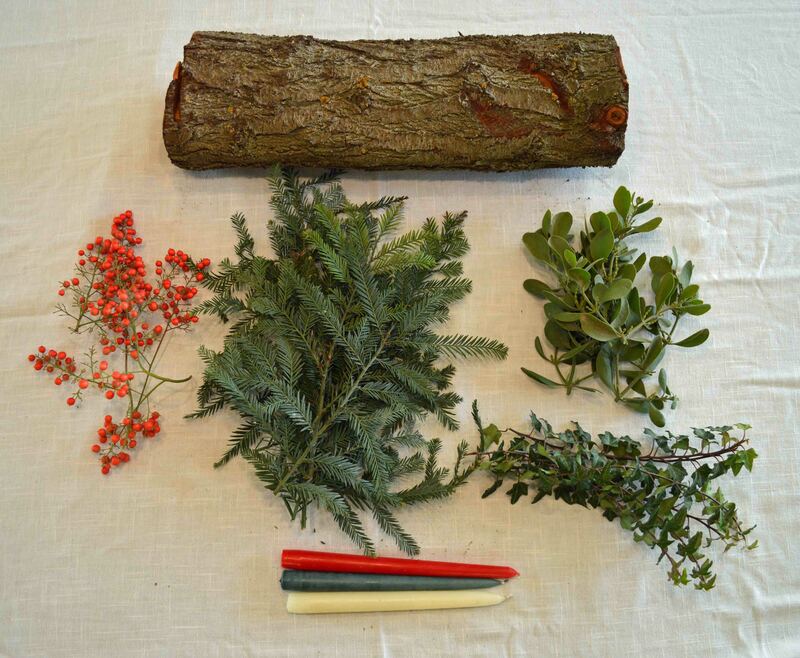 I am making a Yule log from my daughter ‘s in-laws Birch tree. Love the tutorial! 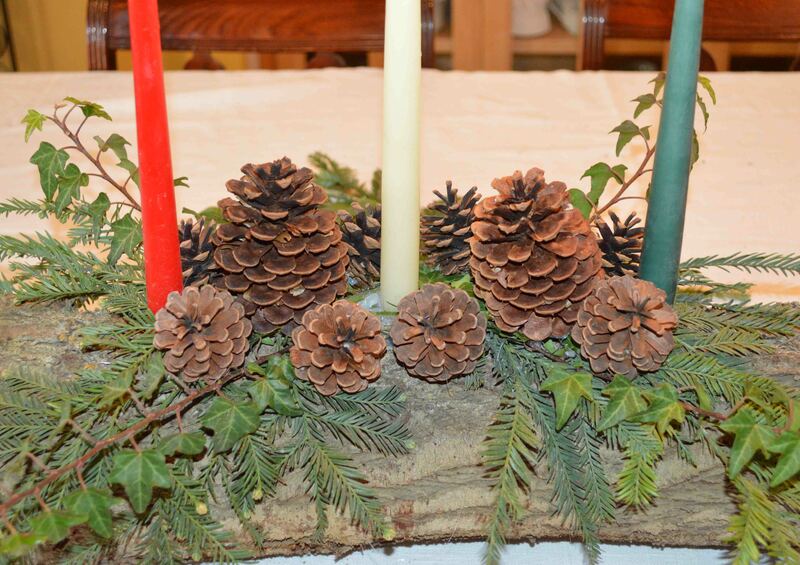 Went looking for yule log ideas and came across yours – looks really good! 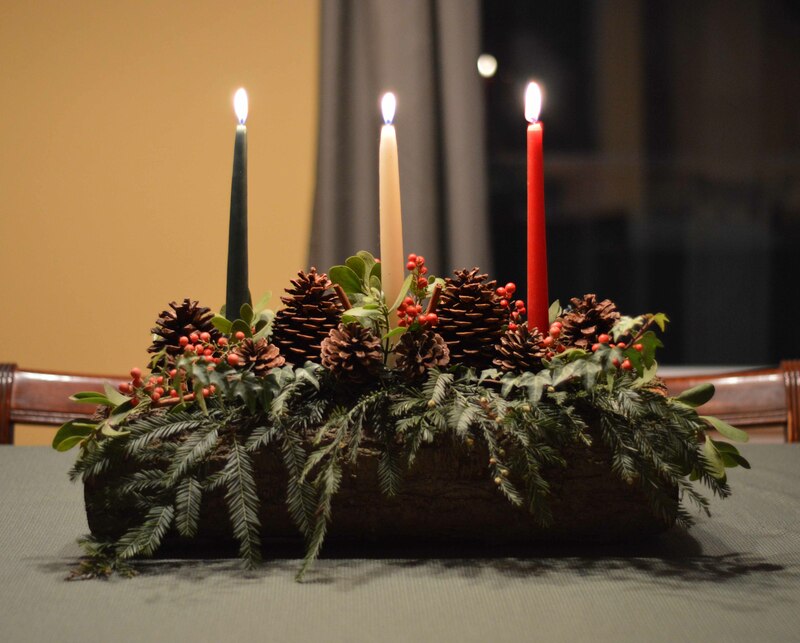 For folks asking about drill bits and cutting the sides flat – I found a 7/8″ forstner bit was perfect for the common taper candles we had in the dining room. To cut the side flat, it’s hard to beat a good bandsaw. Just screw a piece of board on the log so it has something to ride against the fence. your flat will be parallel to the board you screw on. You can hid the screw holes with fancy stuff later. If your bandsaw goes and throws a blade just when you need it most (like mine did) – your next best bet is to use a block plane and do things all old-timey. You only need to plane down the side of the log by about 1/2″ and you’ll have a nice bearing surface. It will take a while so just whistle a Christmas carol or something while you work. Thanks again for the tutorial and the ideas, really like your arranging on there. Here’s hoping Momma likes the one the boys and I have made up. The best thing about these is that you can toss ’em in the fire after Christmas dinner and you don’t have to store it with all the other decorations up in the attic.